Selling your home is a very serious financial transaction. Quite possibly your home is your most valuable asset so when you are ready to sell, you want to make sure you do it properly. Some homeowners try to sell on their own but over 80% eventually use a REALTOR® and realize they wasted a lot of time and effort before they did. There are a lot of things to consider but the basics are broken down to these items. You may be able to figure out some of this on your own but you really should consider using a professional REALTOR® to make sure each step is done properly and results in the best return for your valuable investment. For pricing we will do the footwork and evaluate your home and property to help you get the best price for the current market. We do a complete Comprehensive Marketing Analysis to guide you to a marketable price for your home. If a home is overpriced, it might never sell, or at least it will sit on the market for a very long time. Plus if the buyer is financing most of the purchase, it might not appraise for the loan and the entire deal will fall through. To help you prepare we will offer suggestions for staging your home to make it attractive to buyers. We make suggestions on both what to make it stage better and what is not worth spending your money on. A well staged home will show better attracting more viewers and ultimately better offers from impressed buyers. A well staged home often sells sooner than a similar home that doesn’t look as nice. First impressions make a big difference in home sales. 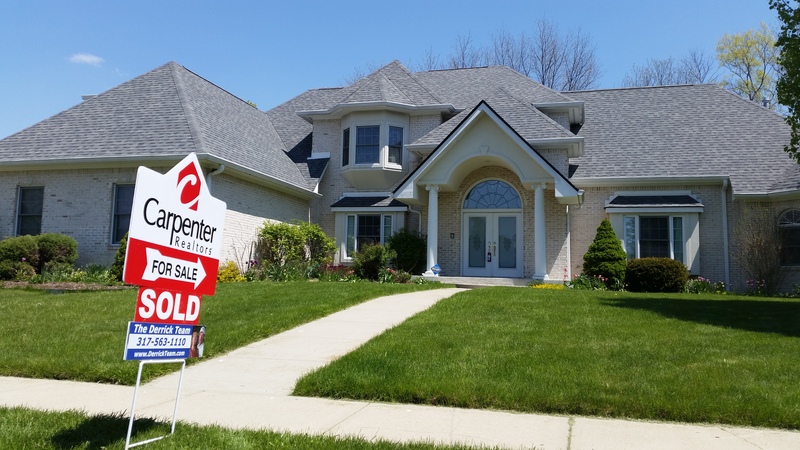 For marketing we use the best tools available to realtors including the comprehensive set of options available through Carpenter Realtors that are exclusive to Carpenter agents. The Carpenter Home Marketing System is provided to Carpenter Sales Associates regardless of the agent’s income so every property gets the best marketing available. This system includes print, newspaper, Internet, and even TV with Carpenters Showcase of Homes on every Saturday morning. In addition The Derrick Team adds their very exclusive Above & Beyond Marketing to increase the exposure for your home and bring in additional buyers. 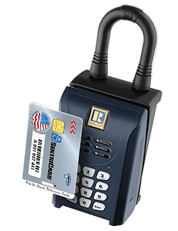 Unlike other Realtors that use less secure combination locks, we use the SentriLock lockbox system which allows us complete control over who has access to your home. This is part of the MIBOR BLC services so only MIBOR members using their assigned security card will be able to access your home. Plus these lockboxes only work during normal showing hours unlike combo boxes. Carpenter Realtors uses Centralized Showing Service (CSS) who will coordinate with you and simplifies the ability of buyer’s agents to schedule a time to show your home. Both these systems allow us to track all showings and send you reports with feedback from the buyer’s agent. We also will be happy to hold open houses as we know they do help market your home. Finally, the most important step is when a buyer makes an offer. We will work with you for negotiations such as sales price, included items, and any inspection issues that may arise. We will be there at closing to help you with any questions that may come up. We will work closely with you all the way through to make sure no unexpected surprises come up at the last minute. The Derrick Team will also help you find your new home and help negotiate that sales transaction with you. We can even help if it’s on the other side of the country. So we can make sure you go from one house to your next with the least inconvenience to you and your family. Give us a call and we’ll be glad to come to your home and talk to you about selling your home with no obligations or hard sell. The Derrick Team just wants to help people sell their homes. We want to help you sell your home for the best possible price, in the least amount of time, with the least inconvenience to you and your family. 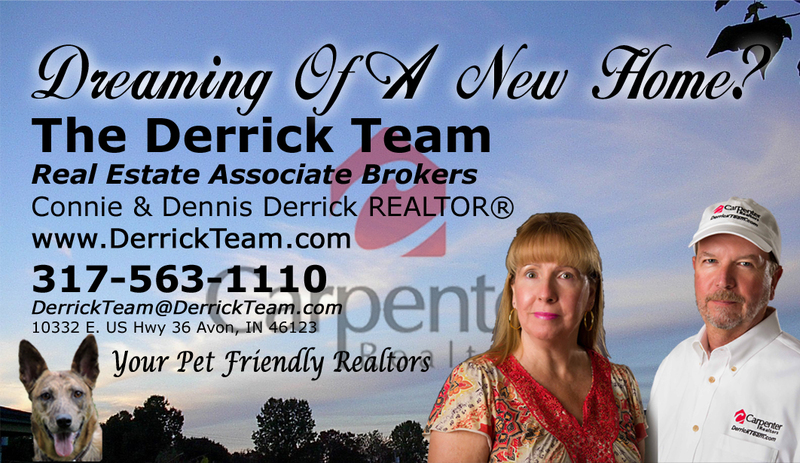 Based out of Avon Indiana we serve Hendricks County and the surrounding Indianapolis Metropolitan area. Check out more blog posts about selling your home here.